Indian women have a genetic tendency of putting up weight in no time. Having a unique body structure, most of the fat gets deposited on the tummy, thighs and bum areas due to which Indian women have quite a bulky lower body. But that doesn’t stop them from prohibiting their taste buds lip smacking delicacies of restaurants and the quick bites of street food which are loaded with oil and butter. With just one month to go wannabe brides might turn hell-bent to get into the right shape and lose weight for wedding. After all it is the day they have been waiting for all throughout their life and have been planning so many things for it. Being a bride it is quite obvious that you would want to look the best for that one night. People should talk only and only about you, admire no one but you! Hitting the gym and trying those hard heavy machines and steroids can have more adverse effects on you rather than just putting you back in shape. So it is better you do a little bit of homework by yourself and spare that extra unnecessary expense on the gym. Try some simple yet regular routines of workouts along with maintain a good balanced diet. You can try a 14-minute bride workout session as mentioned below in the comfort of your own home without the help of any expert trainee and lose weight for wedding. But before starting off, make sure that you have warmed up enough. One of the best exercise which all kinds of people can try it out at any place. This is called as wall sit exercise. Watch the below video to know about the wall sit exercise and its benefits. # Weeks 1 and 2: Complete two 14-minute sessions, reducing the rest periods progressively during this period. # Weeks 3 and 4: Complete two double sessions (i.e. two x 14 min sessions), again reducing the rest periods progressively. # Weeks 5and 6: Complete three triple sessions, reducing the rest periods progressively. 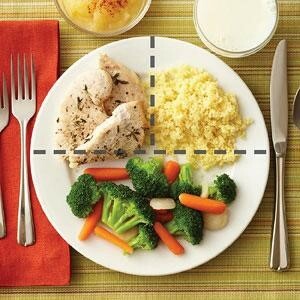 Thinking about the diet chart? Just like going overboard with the wedding workout plan will have adverse effects, similarly having a crash will only make you weak and unhealthy and devoid you of the natural glow on your skin. Skipping meals is a strict NO. When you skip meals your body tends to store fat by default and you look bulky, therefore you should definitely have regular hours of meals. Successful weight control comes through the right food taken at right time. # You may start you day by having a glass of warm water mixed with lemon juice and honey, in empty stomach. You can alternately try ginger instead of lemon. This is very useful in burning the excess fat near the belly area. Avoid consuming anything after this for about an hour. Meanwhile you can go for your morning walk or jogging, which will do the job even better. # Do not skip the four major meals of the day: breakfast, lunch, snacks, dinner. # Instead of eating heavy meals you can try having munchies or small meals all throughout the day at a regular intervals of two hours. # In case you are a rice addict, reduce portion sizes gradually so as to take it easy. # Try to follow a low carbs and high protein diet. # Drink lots of water to flush out the toxins out of your system. # Forget the fast food for a month please! Use a tiffin box to carry the food you plan to eat while you are out for the bridal shopping. Apart from these, you definitely need to have the beauty sleep. Sleep well to look fresh all while the day. So, are you following these plans? Tell us about experiences, suggestions and queries in the comments section below.